I drew you all some Fan Art. How is the fan turning without being plugged in? 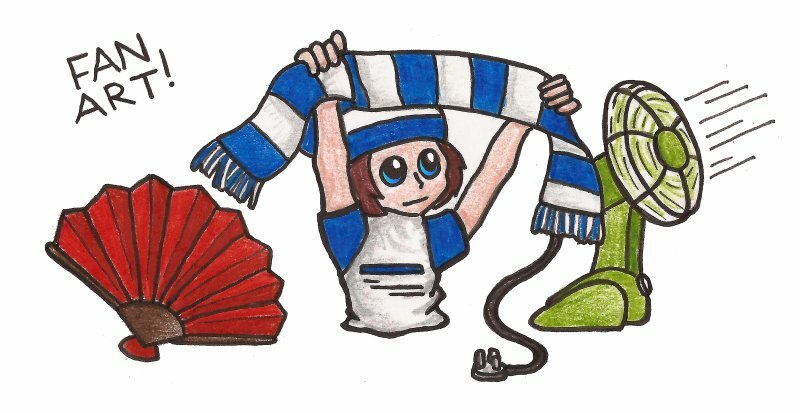 *ahem* I mean… it’s a battery powered fan, that’s a plug for the scarf.